On this page you will find land for sale on offer in Tabanan, to go to the page of the plot of land of your interests, click on the picture or the button "more information". 2.5 hectare land located in Antosari. 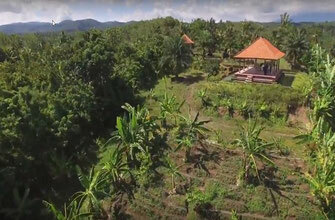 A perfect large plot on top of a hill, overlooking the surroundings and ocean. A perfect plot for a future eco or yoga resort. This 550 are piece of land is situated at the southern foot hills of Mount Batu Karu in Tabanan, Bali near the farmer villages of Wanagiri and Saribuana. Riverfront land with access road and Aspek. 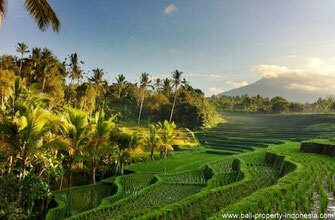 The land has a very nice slope which make it possible to have a great view of paddy field everywhere.